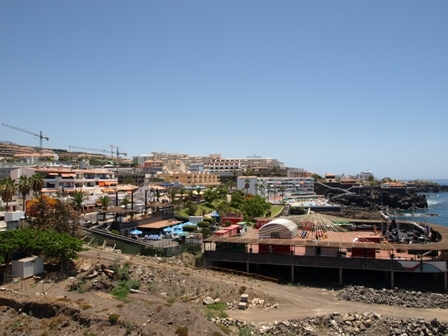 The Department of Coasts in Madrid have been blamed by local authorities for the never ending delays on the construction of the Lago Santiago complex on the seafront in Puerto Santiago which urgently needs a massive tidy up. José Manuel Bermúdez the Cabildo vice-president has recently visited the area to view and discuss the progress on infrastructure projects with the town hall. The bulldozers were sent in to begin the work but then they were stopped after plans were changed. Currently 14 improvement projects are in the planning stages for Puerto Santiago, including resurfacing the roads and laying new pavements.